If you or someone you know has experienced domestic or dating violence, you are encouraged to contact the University of Michigan Police Department (UMPD) immediately at (734) 763-1131. UMPD has a Special Victims Unit (SVU) that specializes in assisting those who have experienced interpersonal violence. Our SVU officers ensure survivors are treated with compassion and respect while navigating the criminal justice system. Additionally, confidential resources are available 24 hours a day to help you make decisions about your safety—U-M’s Sexual Assault Prevention and Awareness Center (SAPAC) at (734) 936-3333 (on campus) or Safehouse Center at (734) 995-5444 (off-campus). Domestic violence is a crime. It can be a single act or a cycle of behavior in a relationship, such as marriage, dating, family or roommate. 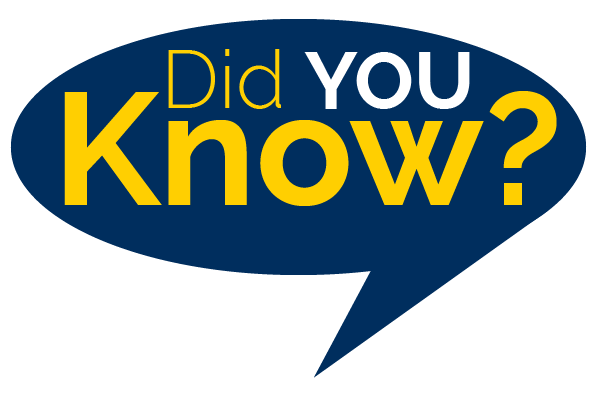 According to the University of Michigan’s Abuse Hurts website, domestic violence occurs when a person uses physical violence, coercion, threats, intimidation, isolation, stalking, emotional abuse, sexual abuse or economic abuse to control another partner in a relationship. It is important to note that women are not the only victims of abuse. According to the Centers for Disease Control, nearly one in four women and one in seven men have experienced severe physical violence by an intimate partner. Domestic violence affects individuals in every community, regardless of age, economic status, sexual orientation, gender, race, religion or nationality. It affects every aspect of a victim’s life and can have lasting effects on their mental and physical health, relationships and children. Michigan Law (MCL 750.81) requires law enforcement agencies with information about a domestic violence incident to respond to, investigate and make an arrest of the offender when probable cause exists to do so. In these cases, survivors do not “press charges”—under state law, the State of Michigan is the complainant. According to the National Institute of Justice, one in three women in the United States are physically abused by a partner at some point in their lives. If you are not ready or able to seek outside help, you may find it useful to develop a safety plan for yourself. Whether you are planning to leave the relationship or not, there are ways to increase your safety. You may be at an increased risk of violence when you attempt to leave, so it is important to consider the information below. You are the best person to decide whether a particular step will increase or decrease your danger. Vary routes to and from class, work or childcare so the abuser cannot follow you. Consider obtaining a Personal Protection Order (PPO)—always carry it and give a copy to your supervisor. Find out about your legal rights as a survivor. Ask your supervisor to take steps to keep the abuser away. This may include moving you to a new work location, enforcing a PPO, asking UMPD to issue a no-trespass order for campus, or screening phone calls. Park in a different, but close location. If there are security officers on site, ask them, as well as your co-workers, to keep an eye out for the abuser and let you know if they see him or her. Most U-M campus buildings do not have security officers, so coordinating with UMPD is important. Prepare a “flight kit” which includes money, documents, important papers, extra car keys and clothes—keep it in a safe place. Develop a plan for yourself and your children on how to get out of a dangerous situation. Change your bank account and direct deposit for wages. If you have children, make copies of their birth certificates and other important papers. Call Safehouse Center at (734) 995-5444 for emergency shelter, counseling, legal advocacy and support groups. Pay attention to signs or behaviors that warn when an assault will occur and leave if possible. If leaving is not possible, move to a room with an outside exit, and avoid bathrooms, kitchens or other rooms where there are hard surfaces or weapons. Ask neighbors to call the police if they hear cries for help, yelling or loud noises. Change the locks if the abuser moves out. If you have children, make sure they know what to do in order to be safe if violence occurs. For example, they can go to the neighbors, call 911 or hide. Learn what resources and options are available if you need to leave in a hurry (call U-M’s SAPAC or SafeHouse Center and talk to friends or family). Remember the abuser can use the Internet to spy on or harm you. Learn about resources to keep you safe. For more information on domestic violence, visit U-M’s Abuse Hurts website.